When looking for peace and relaxation, we try our best to avoid hustle bustle. 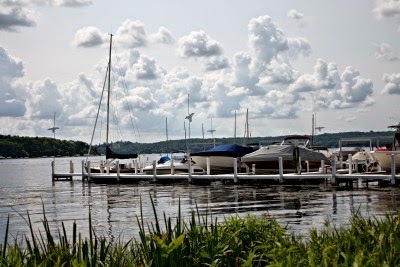 From time to time, we enjoy strolling through Lake Geneva to browse the shops. 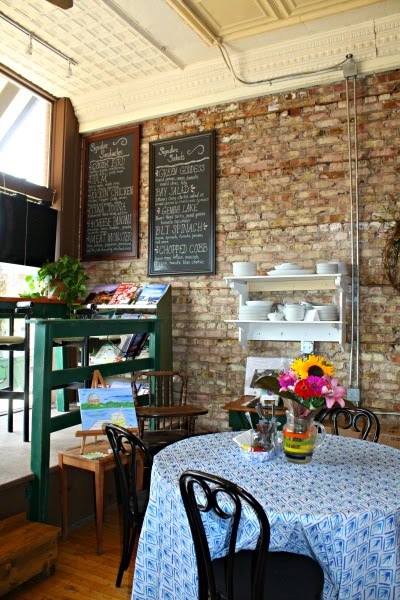 If we are looking for a peaceful afternoon, however, we often shoot past Lake Geneva proper and head over to the small hamlet of Williams Bay. 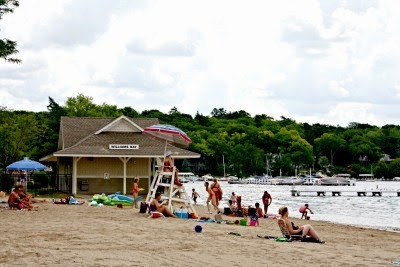 Williams Bay has a lovely beach on Geneva Lake that tends to be more tranquil than Lake Geneva itself. The beach is really a beautiful spot and a place where we enjoy a little summer respite. 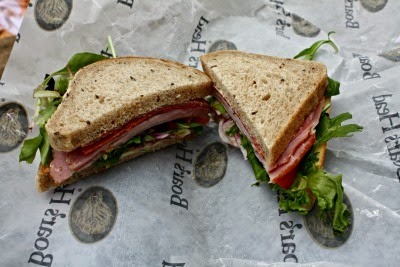 Our sandwiches where perfect for the beach--hearty but not over the top. 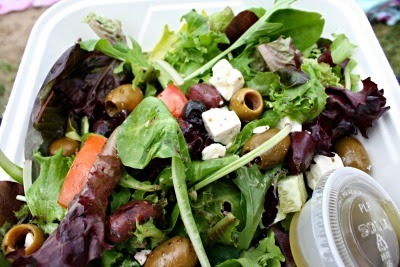 We ordered the Green Goddess Salad to go along. However, I felt that the sandwich was a little low on ingredients other than lettuce--especially if you expected the salad to be your meal. Williams Bay Beach has a nice little beach house with restrooms and places for your to rinse off sand. There are life guards---very comforting when you are bringing little ones! If you sit up along the fence, there are shade trees. The trees are not far from the water, so you can still have a beach experience under the trees! There are piers for jumping off of. There are often boats to watch. You can bring food in coolers---however, no glass nor alcohol permitted. Floating devices are permissible. 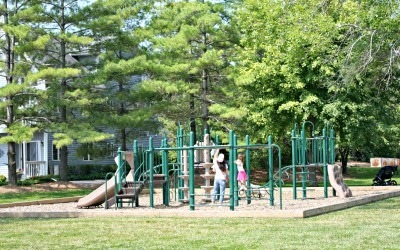 Not far from the beach is a lovely playground right near the lake. You can also head into town for ice cream or a bite to eat. Williams Bay Beach does have a daily charge (currently $4 for those 6-11, $7 for those under than 12, 5 and under free). Parking is nearby and free. If you are looking for tons of excitement, Williams Bay Beach is not the beach for you. We enjoy it because it is pretty peaceful, the water is calm and shallow and there are life guards on duty from 9AM-5PM. We like to pack a picnic and spend a few hours enjoying Williams Bay!